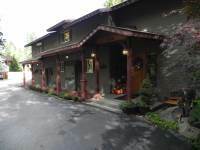 Leavenworth Washington Bed and Breakfasts - Quiet Getaways, Beautiful Surroundings "
Leavenworth bed and breakfasts are becoming more and more popular and for good reason. This small town has become a haven for those who prefer this type of lodging over a more impersonal hotel. With many styles available, a traveller has numerous choices, from old, Bavarian to more contemporary architecture. Some feature lavish gourmet breakfasts and others offer simple, healthy breakfasts. Whether you are looking for a bed and breakfast in town or in the country, everyone will be able to find something that meets their expectation. 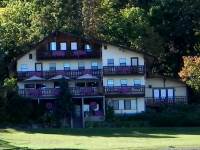 While you will find 5 star Inns in Leavenworth, often times the lesser known homes have as good or better offerings as far as beauty, comfort and activities. As always, it is the proprietors that really make or break the lodging experience and you will need to find those that you connect with best. 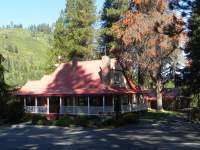 We have reviewed a sampling of bed and breakfasts available and plan to add more as we are able. 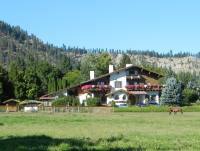 Haus Rohrbach Pension is one of the longest running bed and breakfasts available in Leavenworth. It is fit for a romantic weekend alone or a group of families or youth group getaway for a weekend. 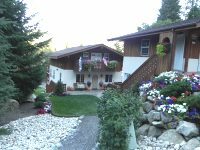 This large, Bavarian style bed and breakfast has a beautiful view of the Leavenworth valley and surrounding hills, is located less than 1 mile north of Leavenworth village, has a hot tub and boasts a hearty breakfast.Visit the Haus Rohrbach website. Pine River Ranch is 15 minutes driving time from Leavenworth, but for those wanting a truly quiet getaway; this is your home away from home. The 6 rooms are beautifully rustic. Breakfast is served at your door for breakfast in bed, in front of the fireplace or on the deck overlooking the yard. This venue hosts many charming weddings where the bride and groom, their family and wedding party can stay overnight at the ranch. 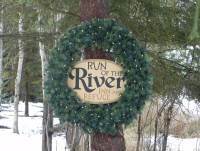 Visit the Pine River Ranch website. 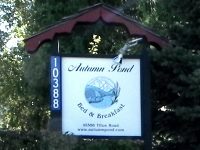 Autumn Pond Bed and Breakfast is located in one of the most relaxed and beautiful settings in Leavenworth. Although it is removed from all the hustle and bustle of the town, a short walk will put you in the middle of the festivals and shopping. The five rooms are somewhat smaller than the more expensive B and B's, but are very comfortable with their country and western styling. Located on the upper level, all five rooms offer a queen bed and private bath. Visit the Autumn Pond website for more information. Haus Hanika is a newer riverfront home with the architecture of Old World Bavaria. This bed and breakfast has 3 rooms, each with immense charm. One of the rooms has a king bed, another has a queen bed and the chalet has both a king bed and a queen hide a bed. Each of the units have a flat screen TV, a kitchenette which include a microwave, coffee maker with coffee and tea, dishes and wine glasses. A breakfast of Belgium waffles is served in your room. Visit the Haus Hanika website to learn more. 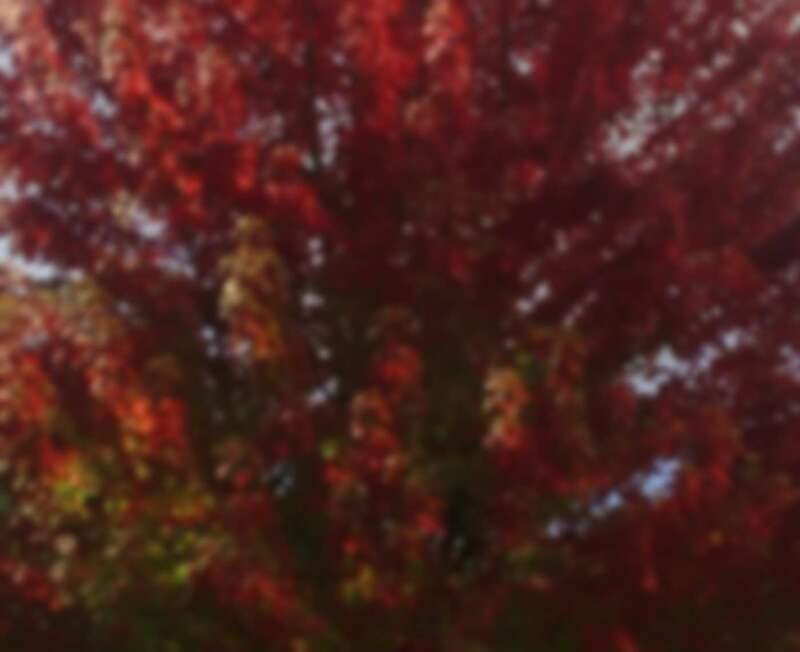 Check out the festivals and events Leavenworth has planned for the year. Read about the history and statistics of Leavenworth.